Good Monday morning to you all! It's a brand new week and life is good! Today I am sharing a card I made for my special Auntie. She doesn't live close by, so I don't get to see her nearly enough. She is one of my biggest crafty supporters. She may be just a tad prejudice (grin!) but she thinks anything I create is wonderful. So needless to say I love her dearly! I've been into circle cards lately. Really super easy to make with my Nesties. 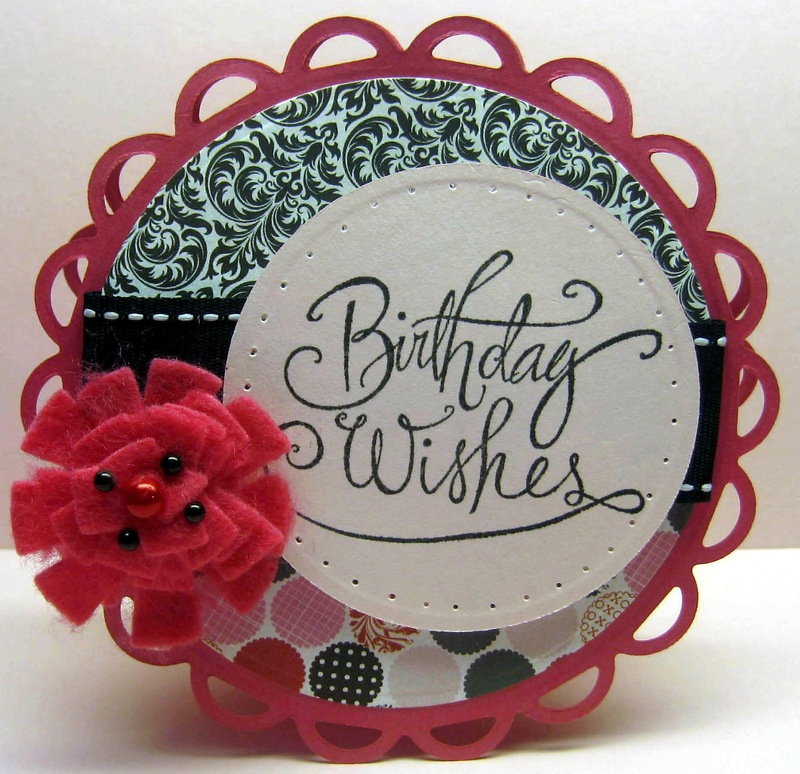 My flower is made from felt which gives my card plenty of extra dimension. To highlight my sentiment I paper pierced around my circle. Have you all had a chance to enter our monthly challenge? to get your entry in. Check out the deets here. All of us on the DT are having so much fun admiring all your work! because I will be back tomorrow with a fun one! Very cute! Love your circle cards! This is a beauty! Love the shape and wonderful colors. Bet your Aunty Loves it! 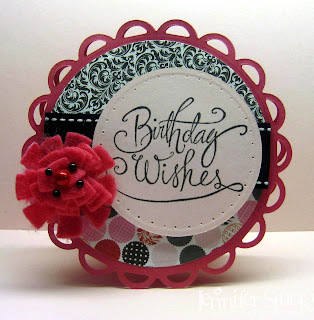 A very Lovely Card!Great Job! What a great card!! Love the design! Great papers used! !